FOCUS, the Meeting Place for International Production, reports record attendance, exhibitor and programme numbers for fourth edition. The rapid pace of change in the creative screen industries emerges as key talking point at FOCUS’ high-level programme of seminars. 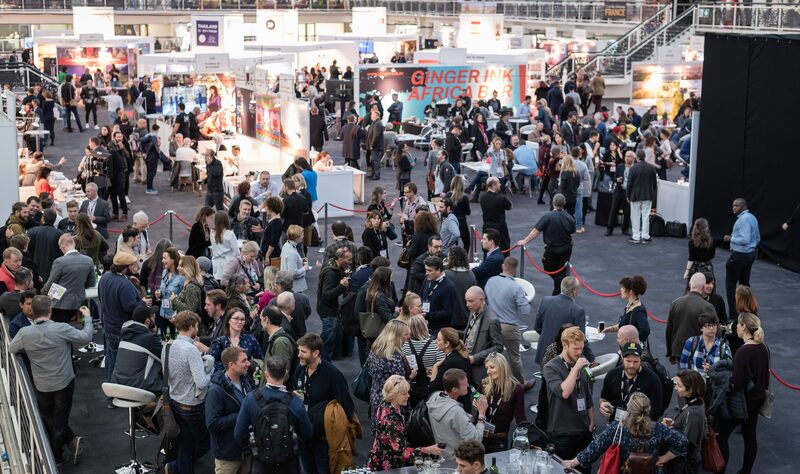 London, 18 December 2018 – Record attendance and exhibiting figures, an expanded programme of panels and keynotes, plus a raft of networking events all combined to make for a highly successful FOCUS 2018. 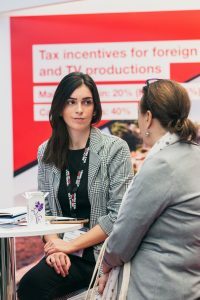 Over 2700 professionals – including UK and international visitors, exhibiting organisations and official delegations – attended FOCUS over two days (December 4-5) representing all sectors of the creative screen industries and over 70 countries. A 40% increase in footfall contributed to an even busier show this year. 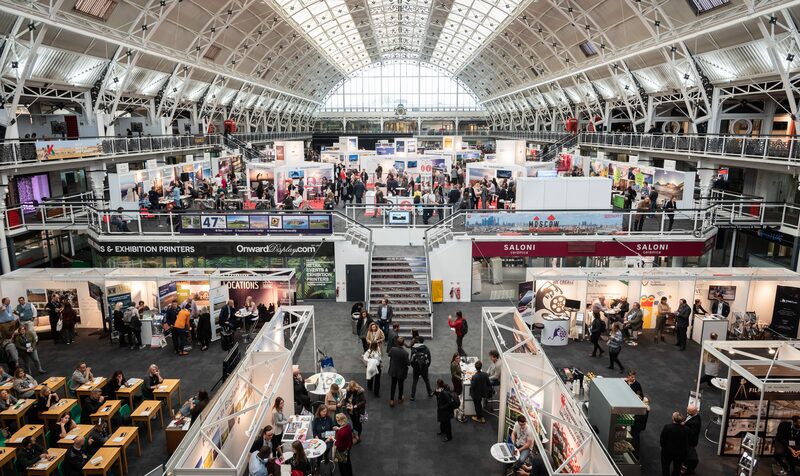 Visitors were able to meet with 244 exhibiting companies (up from 173 in 2017) who packed the Business Design Centre in Islington, London. They included international film commissions, location providers and production service companies offering filming incentives and production solutions from pre to post. The growth at FOCUS comes as the screen industries continue to enjoy booming levels of international production, across film, high-end television drama, commercials and branded content. Programme sessions responded to the fast pace of change within the sector, with an overarching theme The Dimensions of Disruption – Aspiration, Inspiration and Legacy informing the thinking and framing of this year’s event. All of the content was created to look further at the impact of change and how the creative screen sector is responding in terms of the ways it now works and will work, over the next few years. 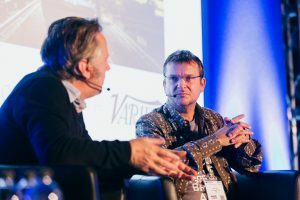 A doubling of content sessions offered free-to-attend panels, workshops and presentations featuring over 160 industry leaders. FOCUS also hosted thirty dedicated networking events, including a Producers Brunch, the Location Managers Christmas Drinks, the Advertising Producers Association Christmas Party and receptions by a wide range of film commissions including Italy, Thailand, Finland, Croatia, Estonia, Ukraine, Madrid, Creative England/FO:UK, Poland, Cyprus, Portugal and Marseille. Sustainability played a major role at FOCUS 2018 through an expanded Green Zone, an area dedicated to addressing the environmental impact of the production industry. 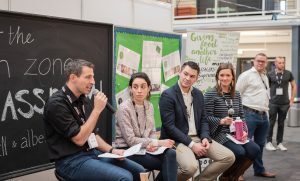 Presented in association with AdGreen and BAFTA’s albert, the Green Zone showcased eco-friendly companies and featured a Green Academy with dedicated sessions offering advice to production professionals about lowering their carbon footprint. 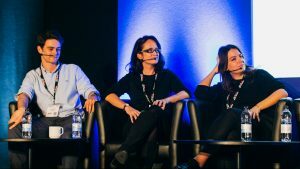 This year FOCUS also significantly expanded its European reach by creating formal partnerships with a range of industry associations representing producers, directors, location managers and other audiovisual professionals. Over 30 associations from 20 European countries joined as new affiliates for the 2018 edition of FOCUS. See the full list here. The FOCUS programme is developed in consultation with a Content Advisory Board featuring representatives from leading industry bodies. Chair of the CAB is Dawn McCarthy-Simpson, MBE (Director of International Strategy at Pact) and members are Alison Small (CEO, The Production Guild), Steve Davies (Chief Executive, Advertising Producers Association), Kaye Elliott (Director of High-end Television Screen Skills), Michelle James (Senior HETV Manager, ScreenSkills), Neil Hatton (CEO, UK Screen Alliance), Gina Jackson (Head of Games, The Imaginarium), Anna Mansi (Head of Certification, British Film Institute), Agnieszka Moody (Director, Creative Europe Media Desk UK), Samantha Perahia (Head of Production UK, British Film Commission), Sara Putt (Managing Director, Sara Putt Associates, representing Women in Film and TV) and Andrea Corbett (Skills and Career Development Manager at Directors UK). The programme is presented in association with content sponsor Variety. New speakers this year included Alastair Clark Founder, Wellington Films, Adam Gee Commissioning Editor, Little Dot Studios, Adam Lowe Creative Director, unrd, Alex Miller Executive Creative Director, Vice Media UK, Alicia Macdonald Director, Missing Link Films, Angela Jain Managing Director, ITV Entertainment, Arif Haq Partner, Freuds, Barnaby Spurrier Producer, Tomboy Films, Ben Schneider Managing Director, RadicalMedia, Benjamin Uttley Founder, Stamp Productions, Blair Robertson CTO, TV Squared, Camilla Deakin Joint Managing Director, Lupus Films, Christian Grece Market analyst, European Audiovisual Observatory, Claire Heys Director, Content & Partnerships ITV, Danny Fenton CEO, Zig Zag Productions, Danny Fleet Managing Partner, Watchable, Deborah Dunnet Nations and Regions Manager, Channel 4, Fiorenza Plinio Head of Creative Excellence, Cannes Lions, Gareth Ellis-Unwin Head of Film, ScreenSkills, George David MD, Jordan Film Commission, Harry Hamer VC Analyst, Oxford Capital, Helen Hadfield MD, Snapper Films, Isabel Davis Executive Director, Screen Scotland, Jack Attridge Creative Director, Flavourworks, Jake Cassels Managing Director, The Connected Set, James Lapsley Production Designer, Jane Villiers CEO, Sayle Screen Ltd, Janey de Nordwall Managing Director, British Arrows, Julia Lamaison Head of Research and Statistics, BFI, Katherine Bidwell Co-founder, State of Play Games, Lisa Dee Manager, Barking and Dagenham Film Office, Magnus Wake Producer/Director, Maria Tanjala Co-founder, Big Couch/FilmChain, Mark O’Sullivan EP, Dog Eat Dog, Melanie Stokes EP & Joint MD, Kindle Entertainment, Michael Othen Creative Director, Fusebox Games, Michelle Jenkins Head of Production Services, Film London, Michelle Martin Head of TV, Framestore, Nick Godwin Creative Director, BriteSpark Films, Phil Dobree CEO, Jellyfish Pictures, Phil Hunt MD, Bankside/Head Gear, Richard Brim CCO, adam&eveDDB, Rob Stapledon Director Commercial Banking, Arbuthnot Latham & Co, Roger Charteris Managing Director, The Artists Partnership, Sam Barcroft Founder, Barcroft Media, Shirley O’Connor Producer, Academy Films, Simon Heeger Partner, 2WEI Music, Stephanie Martinez Policy and Technical Advisor, HMRC, Steve Lewis Director of Distribution, Curzon, Sudie Smyth Managing Director UK, European Film Bonds, Tom Box Co-founder Blue Zoo Animation Studio, Wayne Marc Godfrey CEO, Purely Capital, Yates Buckley Founder, UNIT9.